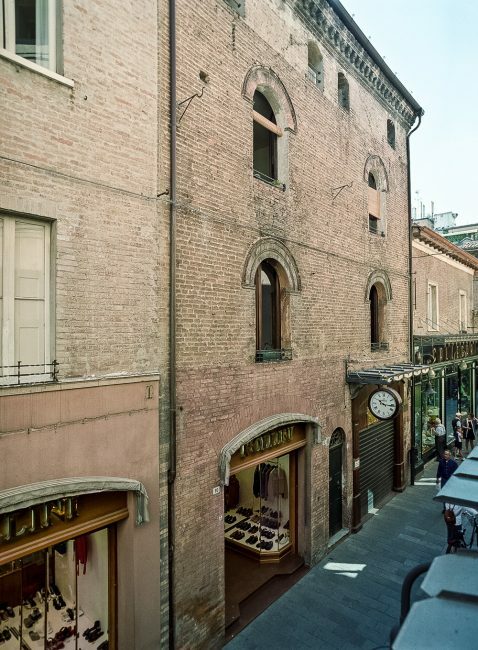 Rebuilt by the Venetians, the brick facade maintains the original look on the higher part with the four arched windows decorated by a terracotta frame and the wooden carved cornice with little windows underneath. The lower part was changed recently and the ground floor transformed for commercial use. At the end of 1800 it belonged to the Romanini family and later to the Zabberoni family.